“The thing about sealants is that the kids who most need them are the least likely to get them, and that’s one of the reasons we did this report. 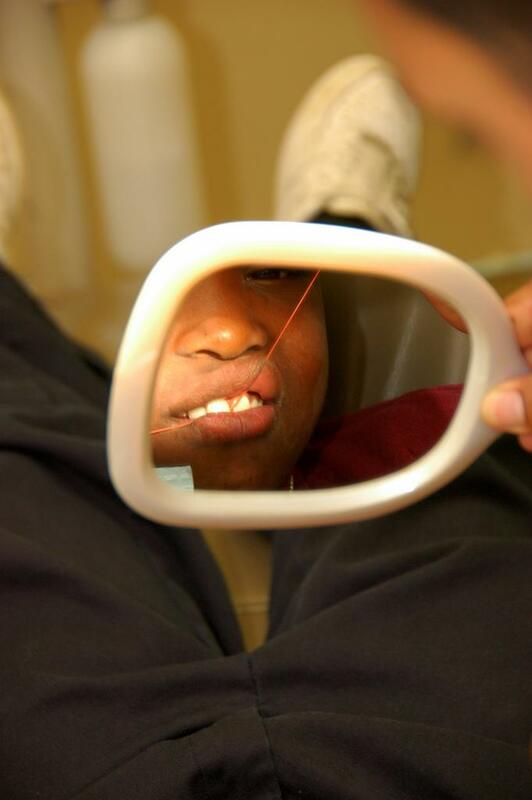 Low income kids, minority kids, high risk kids, they’re the ones who can most benefit from prevention and are the least likely to get sealants,” said Shelly Gehshan, Director of the Pew Children’s Dental Campaign. Gehshan says the best way to get to these high-risk kids is in schools where hygienists come to make sure high-need kids have sealants. That’s one of the four factors the Pew report used to grade the states. According to the report, Missouri is one of only 4 states in the country that has no school based programs for high risk areas. “Missouri clearly is not making this a priority,” Gehshan said. Our neighbors in Illinois are, though. Dr. David Miller is Chief of the division of Oral Health for the Illinois Department of Public Health. “The sealant does help prevent cavities as they get older, (but the program) gets them into the queue on understanding importance of dental health, oral health. And it makes sure that at the time if there are needs for the child that they can look at them and examine and refer the child to different places for follow-up care,” Miller said. Sealant programs are available to more than half of the high risk students in the state, according to the Pew report. So what’s the difference in Illinois? “As the state got more involved in it, the state provided funding for grantees,” Miller said. He says there are more than 50 grantees across the state of Illinois. Local school districts, county health departments or other entities apply for grants to help pay for dentists or hygienists to get contracted to go into schools. Providers can also bill Medicaid for sealants. There’s no such grant program in Missouri. “Things have gotten worse not better, said Craig Hollander, of St. Louis, who has been a Pediatric Dentist for more than 20 years. The poor marks in the report don’t surprise him, as he’s seen the emphasis on oral health in the state slip significantly over the years. “There’s just not a lot of priority that legislators have that dental health is a problem that needs to be fixed,” Hollander said. Hollander is a founding member of the Missouri Academy of Pediatric Dentistry. Among other things, he says a big problem is that there is no state dental director in the state health department to oversee oral health efforts in the state. “You know, no one’s minding the farm so to speak,” Hollander said. He agrees the school sealant programs would be great in Missouri, but says it’s much larger than that. Back to the point Dr. Miller from Illinois made, these are missed opportunities to create positive oral health. “But if you just start off where the child might not have comprehensive dental care, and someone’s slapping the sealants on as a second grader or whatever, it’s not going to be a successful program,” Hollander said. KBIA contacted the state health department numerous times for this story over the past week and never heard back. There is a group, the Missouri Coalition for Oral Health, that’s been lobbying for a dental director position.